Nov. 1, 2018, 11:11 a.m.
Vox Media publisher Melissa Bell said in a memo that Recode would relaunch as a section of Vox.com starting next year. Recode will continue to exist as a brand and business, and Recode’s staff will report to Vox Editor in Chief Lauren Williams, Ms. Bell said. ‘The aim of this relaunch is to create a bigger, bolder Recode, using Vox’s platform, editorial support, and distribution power to amplify Recode’s work,’ Ms. Bell said. [T]imes have changed and the leadership teams at Recode and Vox have recently started a conversation on how technology journalism should look in this new era. And that means doing things differently than has been done in the past. Why? Because there is almost nothing in our lives that Silicon Valley does not impact anymore, for good and, far too often these days, for ill. Social networks spread discord and hate across our politics, a myriad of addictive devices hook us in and then drive us apart, and new technologies like artificial intelligence, automation and robotics could mean vast changes across our workplace. 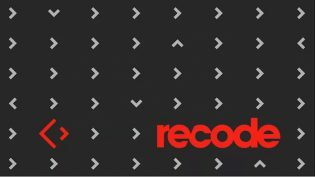 Let me be clear, for those who enjoy heedless media speculation: The Recode brand remains the same; the Code conferences remain the same; the podcasts remain the same; the television specials we do with MSNBC remain the same. And I am not going anywhere either, because Recode has allowed me — whatever the medium — the great gift of being able to do what journalists are supposed to do. Which is to say, to use an old journalism bromide: Afflict the comfortable and comfort the afflicted. So, once more into that fantastic breach: Vox explains the news. Recode understands technology and media. Together, with Vox, and through our newsletters, podcasts, videos, television and live events we’ll make the Recode brand stronger and more widely consumed than ever. Tech isn’t some other subject that’s over there, or that only happens in tech companies or Silicon Valley. It’s pervasive, it runs through everything, often in ways its creators don’t understand. Whether we can understand it and govern it is one of the key questions of our era. Owen, Laura Hazard. "Recode, the original good tech news site, is folding into Vox.com (but relaunching next year)." Nieman Journalism Lab. Nieman Foundation for Journalism at Harvard, 1 Nov. 2018. Web. 20 Apr. 2019. Owen, Laura Hazard. "Recode, the original good tech news site, is folding into Vox.com (but relaunching next year)." Nieman Journalism Lab. Last modified November 1, 2018. Accessed April 20, 2019. https://www.niemanlab.org/2018/11/recode-the-original-good-tech-news-site-is-folding-into-vox-com-but-relaunching-next-year/.